Emac Bus Tours are delighted to launch a brand new Glasgow Coach Tour to honour Scotlands greatest ever poet Robert Burns (1759-1796). Robert Burns Tour of Ayrshire will start in George Square Glasgow at the Statue of Robert Burns, erected by public subscription, and a fitting tribute to Scotlands Bard. Our Robert Burns Tour will then depart Glasgow heading for the beautiful countryside of Ayrshire, birthplace of Robert Burns. Our first stop is in Alloway and the delightful cottage where Burns was born. After your visit we travel the very short journey to Robert Burns Museum where you can experience a leisurely visit to the museum. There is a delightful restaurant here where you can have lunch. After lunch a gentle stroll to “Kirk Alloway” where Burns parents are buried, but more famous for the scene within Burns best work, “Tam O Shanter”. The trail continues with another short stroll to the end of “Tam O Shanter ” where in Burns great poem he describes in vivid word pictures the famous “Brig” where poor Meg lost her “tail”. 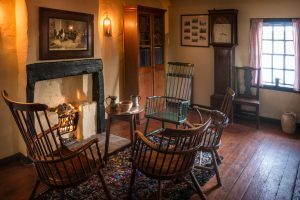 You will be regaled with many stories and be immersed in the true spirit of Robert Burns. 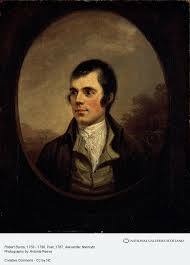 We then travel to Mauchline where Robert Burns spent much of his time and where his two farms Mossgiel and Lochlea are nearby. 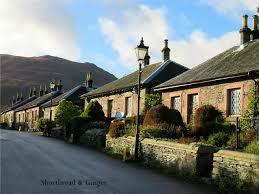 In the heart of Mauchline lies the quaint Burns Museum, next to where Burns lived, and is a must to walk round. We also can spend some time walking the little streets where Burns strolled and set up home with his true love, Jean Armour. 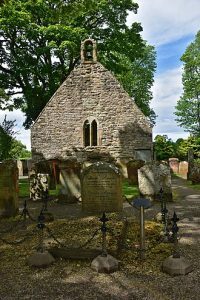 The small church and cemetery, in Mauchline, has many of Robert Burns friends interred there. We also can view, just across the street from the cemetery, the ale house “Poosie Nancies” where Burns frequented, and time permitting , a small refreshment may be purchased. We then travel to “Tarbolton Bachelors Club” in the small Ayrshire village of Tarbolton. This is where Burns would become a frequent visitor and formed a debating society. Robert Burns also became a Freemason of the Masonic Lodge in this building. We then travel back to Glasgow where the E Mac Bus Tour ends with a fond farewell at the Robert Burns Statue in George Square. The tour is expected to return to Glasgow approximately 17.30 with journey back to Edinburgh adding a further hour. E MacBus Tours are delighted to offer this wonderful “Burns” experience for only £32.00 per passenger. Please note that entry ticketa into the cottage in Alloway and the Museums are not included in cost. Tickets can be purchased on the day or EMac Bus Tours can pre book tickets for you in advance. 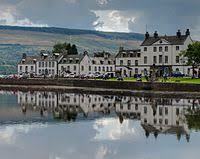 EMacBus tours specialise in a vast range of Glasgow Coach Tours. On our now famous Scotch Whisky Tour you can experience fantastic malt whisky tastings from distilleries only 45 minutes from Glasgow. On our 1 day Scotch Whisky Tour, where you can depart from either Edinburgh or Glasgow, the first stop will be at the world famous Glengoyne distillery. Here you can experience the wonderful sights and aromas of this unique distillery. You can book a guided tour round the distillery and a chance at the end to sample an incredible array of whiskies and to purchase some rare malts from their shop. We then continue to Loch Lomond National Park and to take in the wonderful panoramic views of Loch Lomond and the majesty of Ben Lomond. Time to take photographs or organise a sail on the loch leaving from Tarbert. We then continue to Deanston distillery the home of Deanston Highland Single Malt. Their newly built Visitor Centre where you can sample limited editions of their whisky along with the chance to sample and buy any of their wide range of whiskies. On completion of the tour we then head back to your pick up point whether in Glasgow or Edinburgh. Edinburgh pick up times will be earlier than Glasgow. Prices start at £30.00 per person and are subject to availability. Ticket prices to whisky tastings are not included and can be purchased on the day or we can arrange this for you prior to the tour. 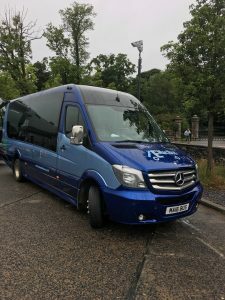 Emacbus Scotland Whisky Tours use luxury vehicles with professional, courteous tour guide drivers to enhance THE best Scottish Whisky experience.